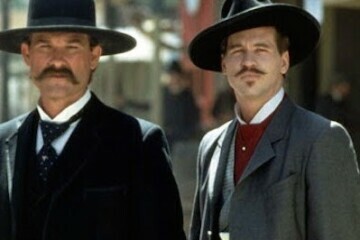 Western Wednesday continues with our evening showing of the 1993’s revisionist “Tombstone”, perhaps best known for Val Kilmer’s exceptional turn as Doc Holliday, and also starring Kurt Russell as Wyatt Earp and Sam Elliot as his brother Virgil. Come on, let us be your huckleberry! Doors open 6:45pm. Showtime 7pm. $6/person, bottomless popcorn.